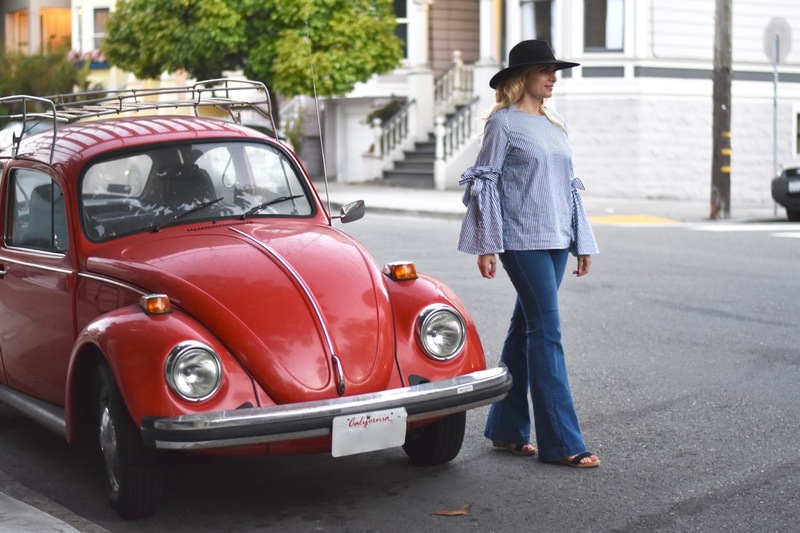 I was feeling so 70s in this outfit – bell sleeves and flared jeans? Heck yes. 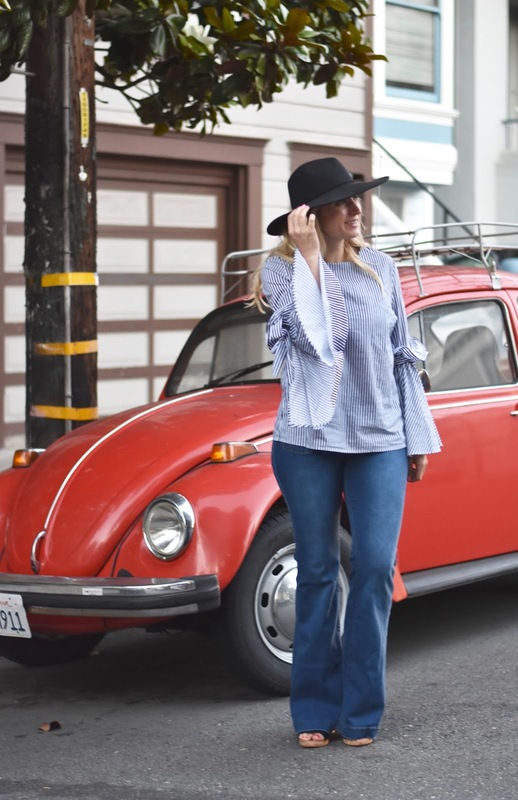 You may have seen me wear this bell sleeve top on instagram before – I wear it a lot because I am in love with the bow detailing at the sleeve. This is the first time though that I decided to give the 1970s a full on try and pair it with flared denim. I maintain that fashion should always be, first and foremost, something you have fun with. For me, that means taking pieces to create a vibe that perfectly matches your mood. I wore this outfit out to dinner with the lovely Kelsey at Blondes & Bagels when I met up with her in San Francisco last week. I just loved feeling like my outfit was exactly what I would have worn in San Francisco in the 70s (if I was alive then haha). 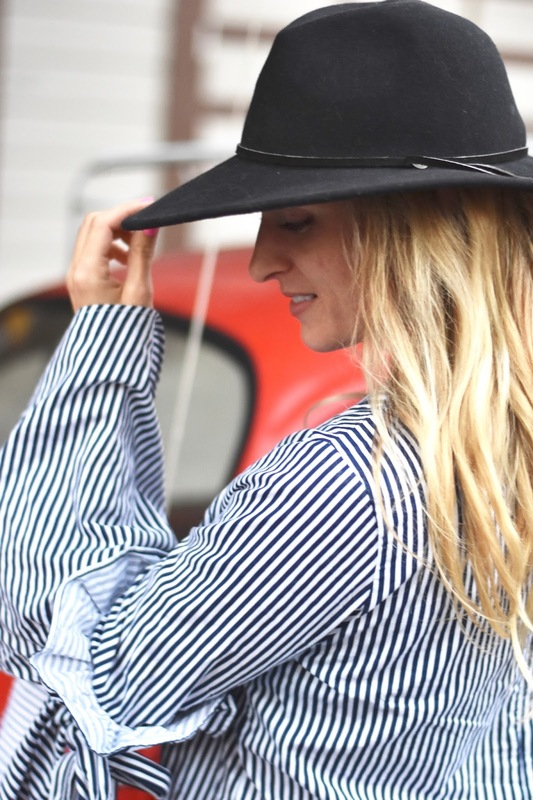 The flared jeans are quickly becoming a staple from me – I just love the look of them and it is such a nice change from the years of skinny jeans. I think I will be wearing these jeans with cozy knit sweaters a lot this fall. Finally, the gorgeous hat I’m wearing is from Goorin Brothers (and was loaned to me by Kelsey – let me tell you all, her hat game is strong!) I’m not usually a hat person, so again it was really fun to step out of my comfort zone to create this look.